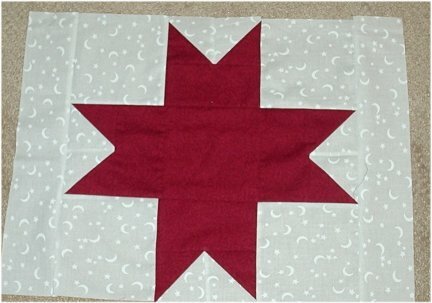 Sew a Unit #8 together to a Unit #9 like the picture below. We’ll call this one Unit #11 and you’ll need to make two of them. I need to apologize because the oddest thing has happened. 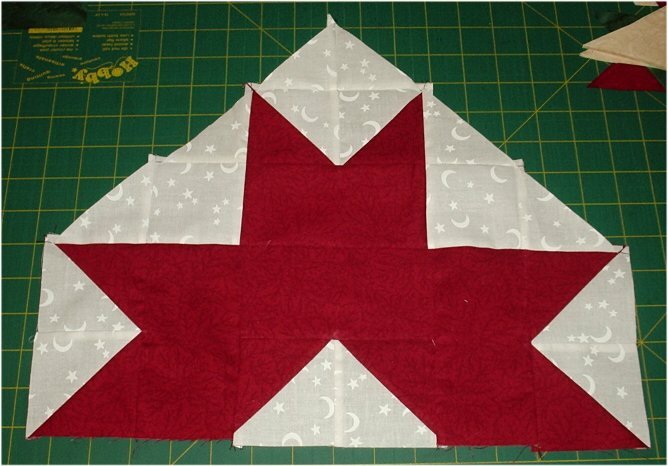 I intended to put borders on this table runner and share that with you, however, I’ve somehow managed to misplace the fabric I’m using to do this project. I know, it’s bizarre but it’s true. I’m sure I put it somewhere “it would be safe” because it appears to have vanished off the face of the earth. So, um, no borders. Sorry.